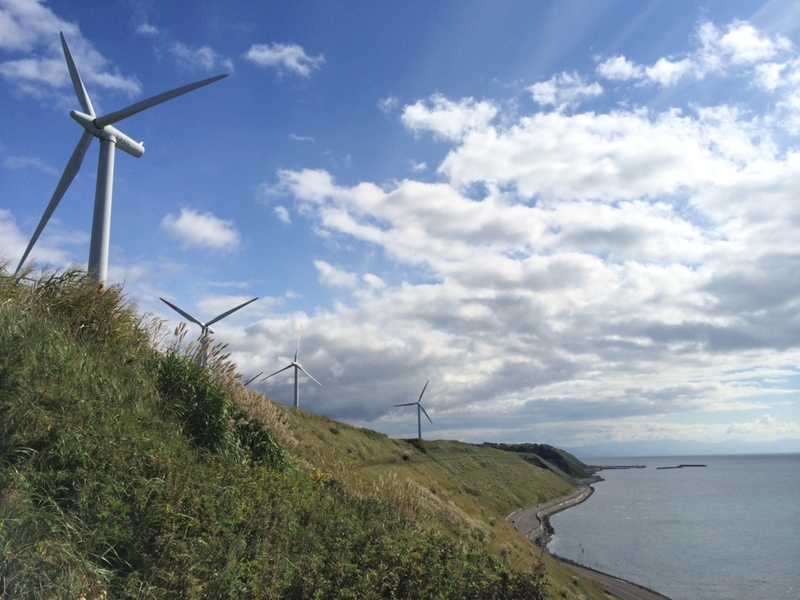 I went to Hokkaido . What do you come up with,when you hear "Hokkaido"? Hokkaido has countless attractive places, things and events!! Lots of place I wanted to go!! At this time,I had only 2 days off !! So I dedided to pack too mach schedule at 2 days as long as my physical strength was keeing!! 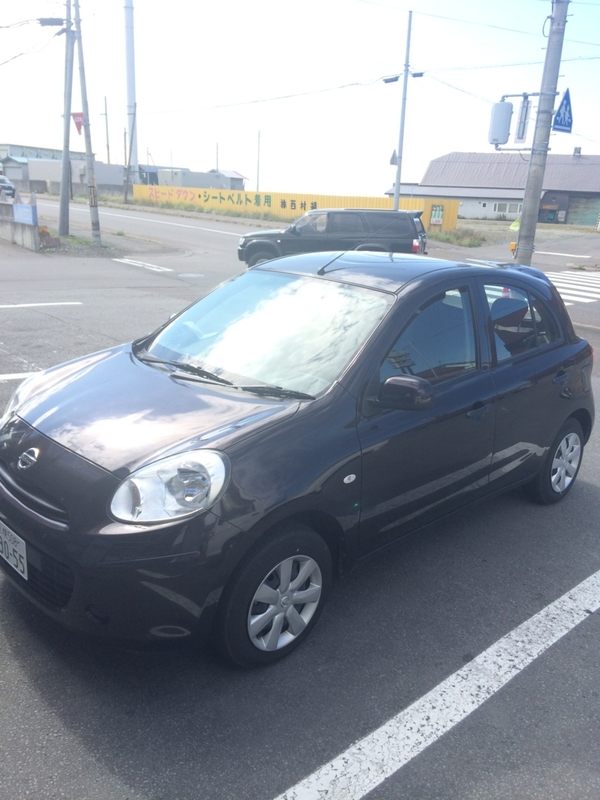 Consequently, I and my friends drove about 1,200km!! It was really crazy travel !! So if you have a chance to go Hokkaido and you have only 2 day off,please refer to my crazy plan. This is the this travel menu. Apparently, I went a few place. 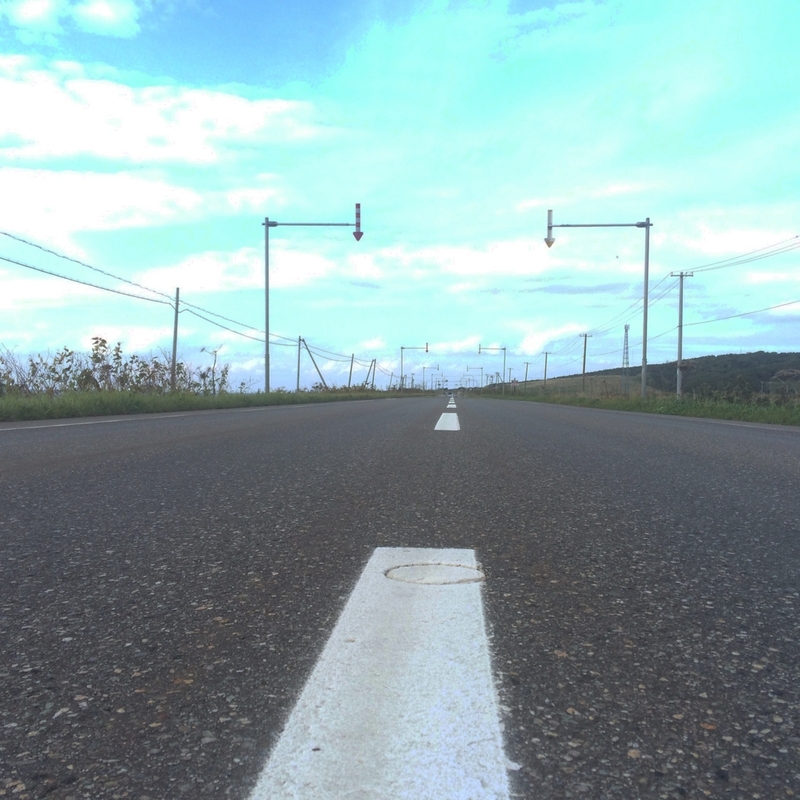 But we have not to forget, Hokkaido was really wide. I was so excited that this time was first time to visit Hokkaido!! At early september, there was not too colder than I thought. I like JR Hokkaido, becaude suica was available!! This was so importnat for me who usually use electric money anywhere. 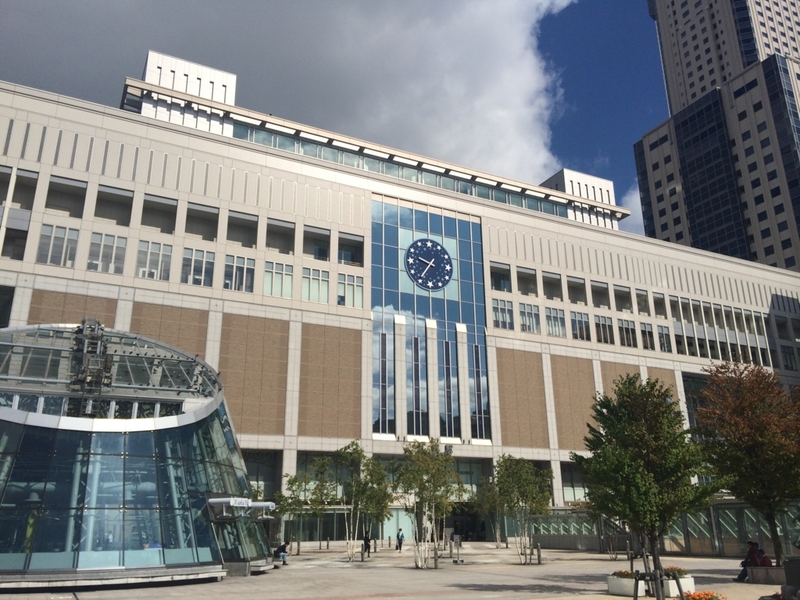 Surrounding of Sapporo station was so arranged! 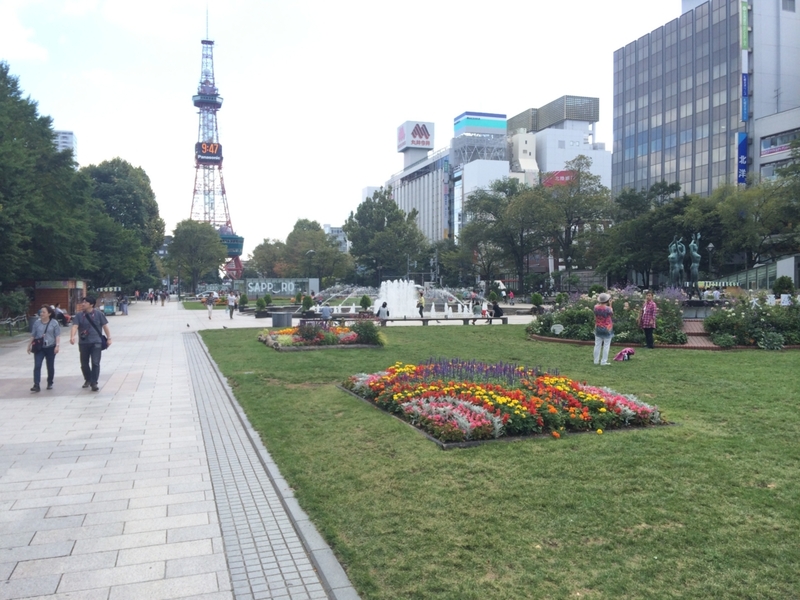 This was "Big street park(大通り公園)". 10:00 Let's start crazy driving!! I met up my frieds and rented car. we departed towards the northernmost tip in Japan. Then Google map said that we would get there in 5 hours!! 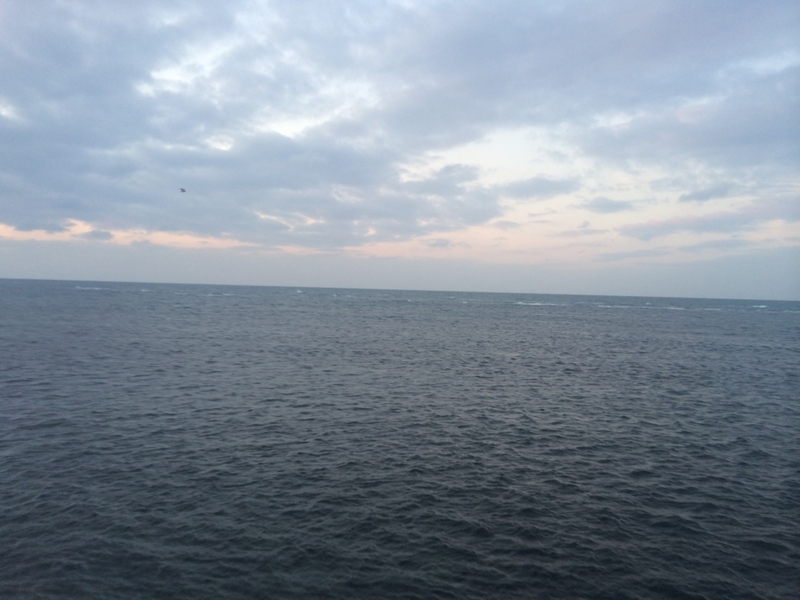 On the way to northernmost tip, there were good seafood restaurant[すみれ]. 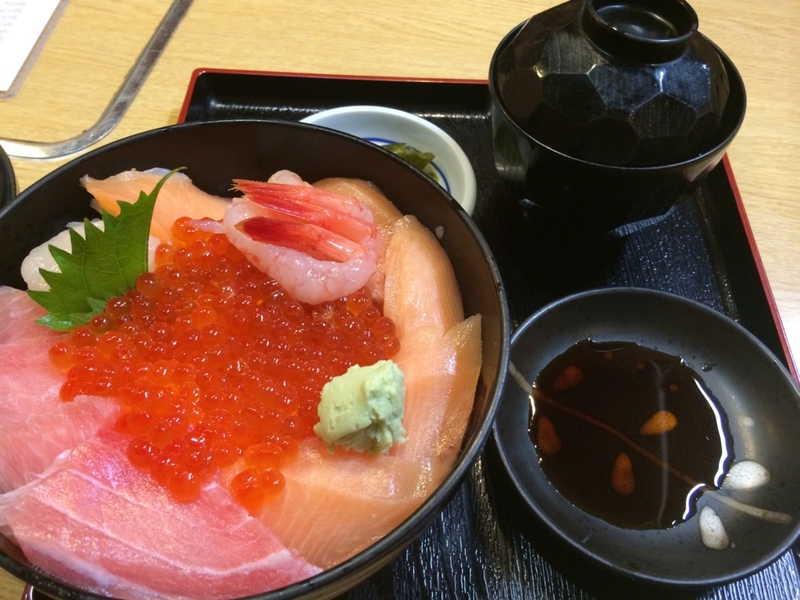 Speaking Hokkaido meals, I come up with at first fresh seafood!! This meal lived up to our expectations! !So good! As soon as we departed, Row of huge windmills were emerged!! 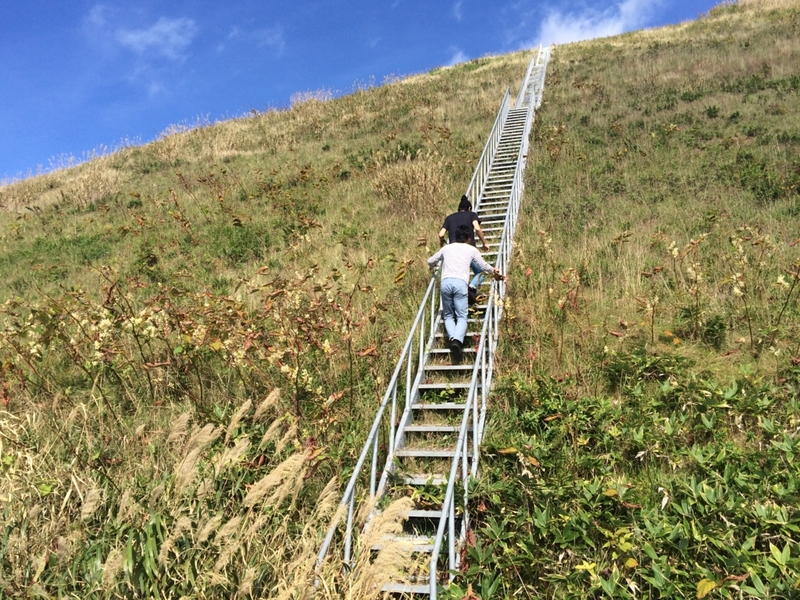 We found step which was seemed to reach top! Then I stopped to climb and looked back, There were beautiful scenery!! At the top there were huge windmills!! It was big impression for us !! 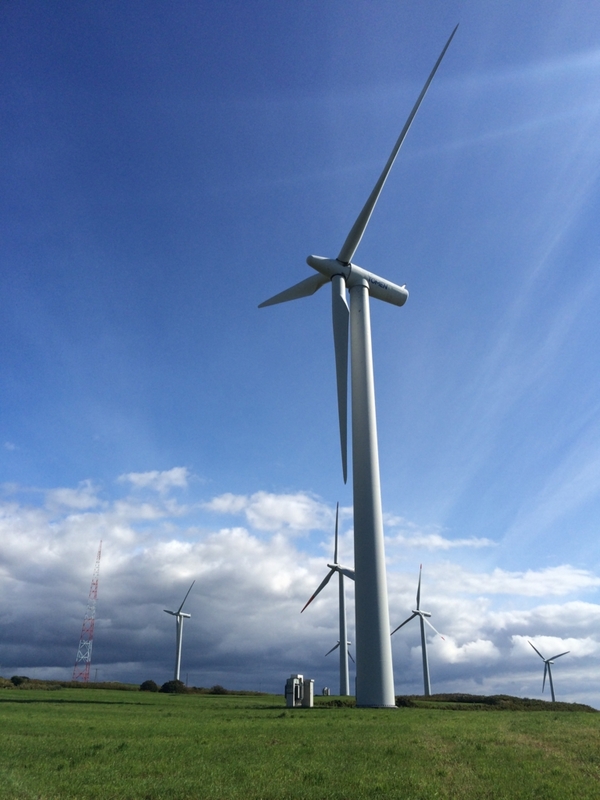 During the way to northenmost tip, there were not only windmills but also many other great scenery!! These scenery made our long drive fun!! I forgot to take picture of these landscape.. This way is called Ororon line and it is lasted about 380km. I found it difficult to recognize whether we were in Ororon line or not. That's because there are no signboard like 「here is Ororon line」「Ororon line starts from here!.」etc.. So I tell you how to firgure out here is Ororon line or not. If you think there is good scenery, you are already on Ororon line!! By the way, the sound of Ororo is so unique, it is quite difference by Japanese one. This words came from Ainu. 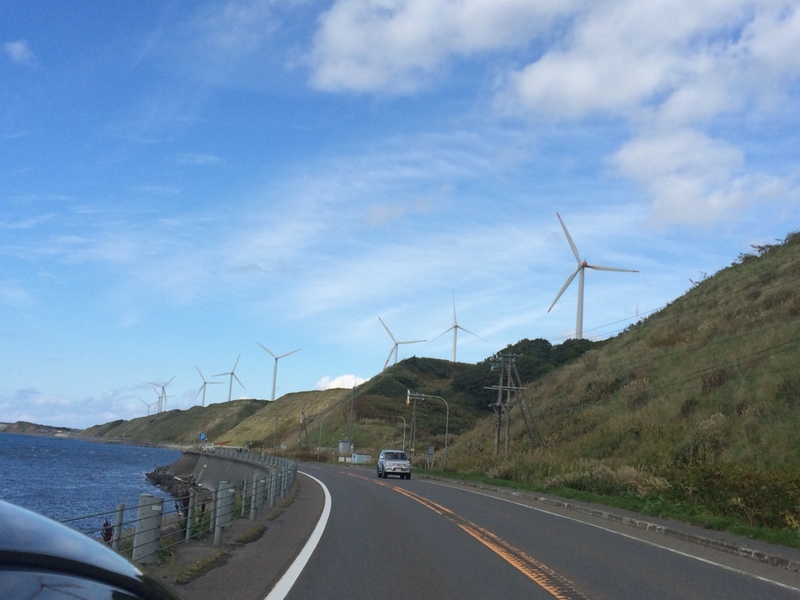 The row of windmills was appeared again!! 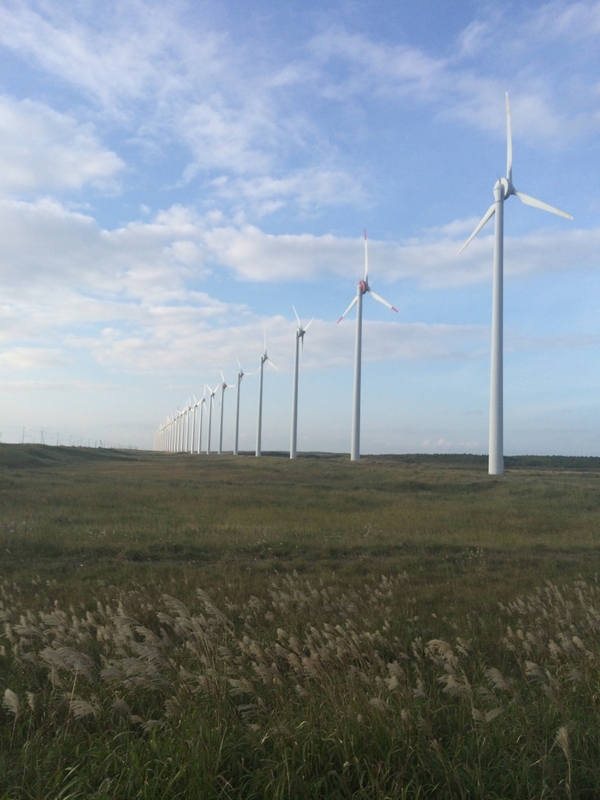 Here is Otonrui wind farm! And this area told us the goal were closed!! 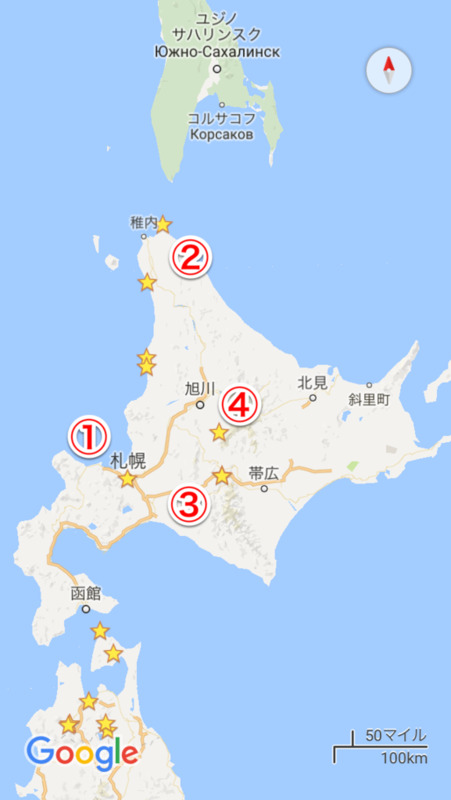 FInally we got So-ya cape where is northernmost tip of Japan!! It took 7 hours from Sapporo city! But I didn't feel long because a lot of unique landscape made our drive fun! We managed to see sunset. Appareantly, this was usually sea. But here was special sea where Japanese sea meet Pacific ocean. After we stayed 20 min, we went back to Sapporo city again!! It took approximately 7 hours again. What is worse,we had to be careful for driving speed. 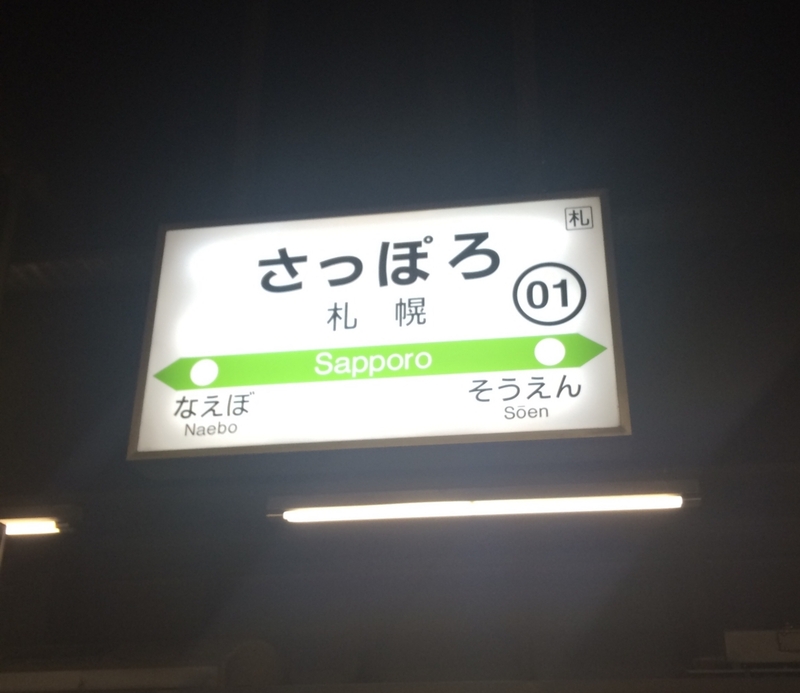 23:30 we got Sapporo again. 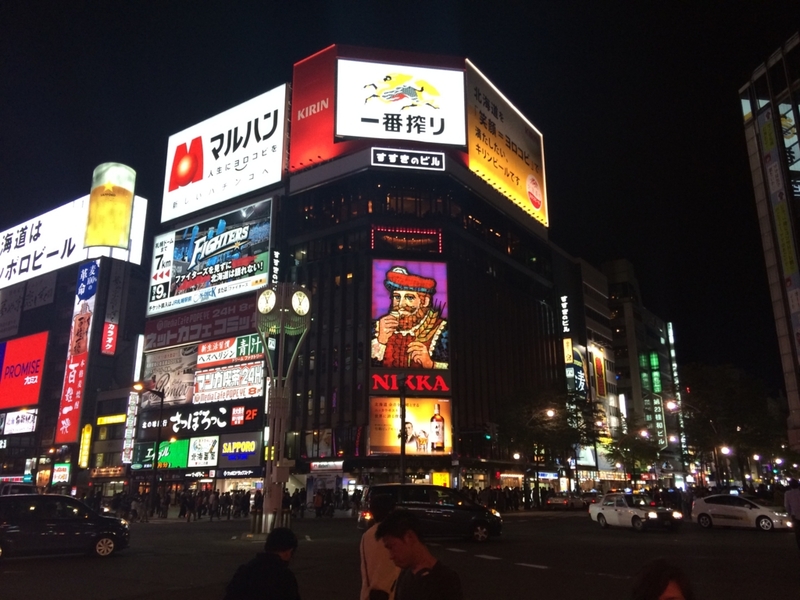 We got Sapporo city almost midnight!! Sapporo city atmosphere changed into night mood completely. Gighid Khan is mutton meat BBQ. 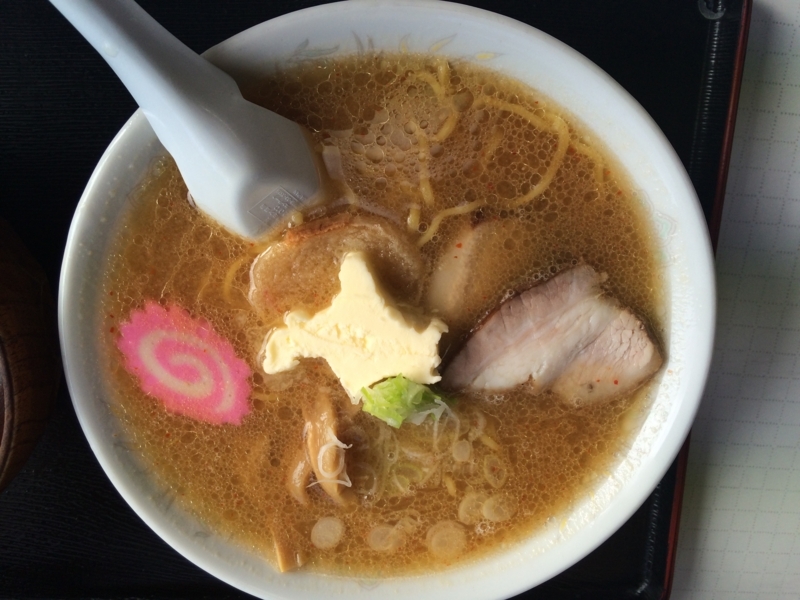 This was as famous food as seafood in Hokkaido! 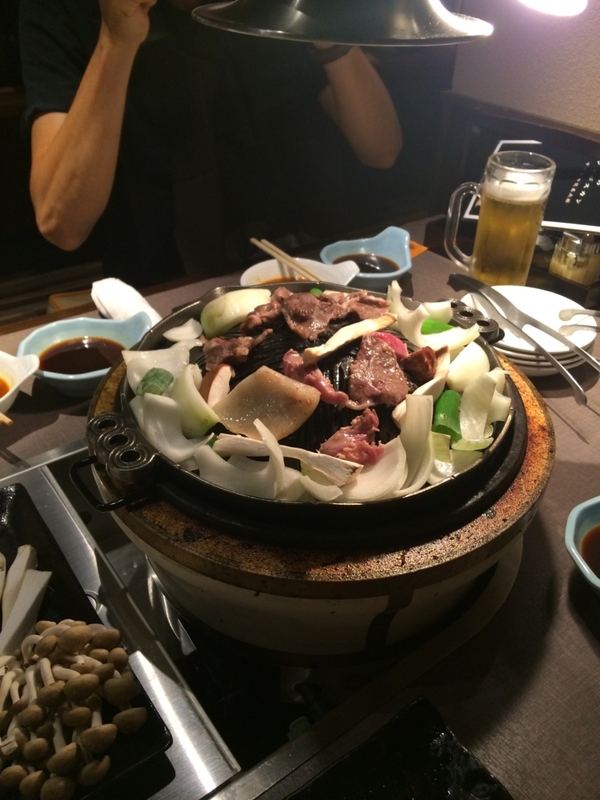 We were in Hokkaido, we had to eat this!! I have been Hokkaido first time! So everything I saw was fresh and impressive!! 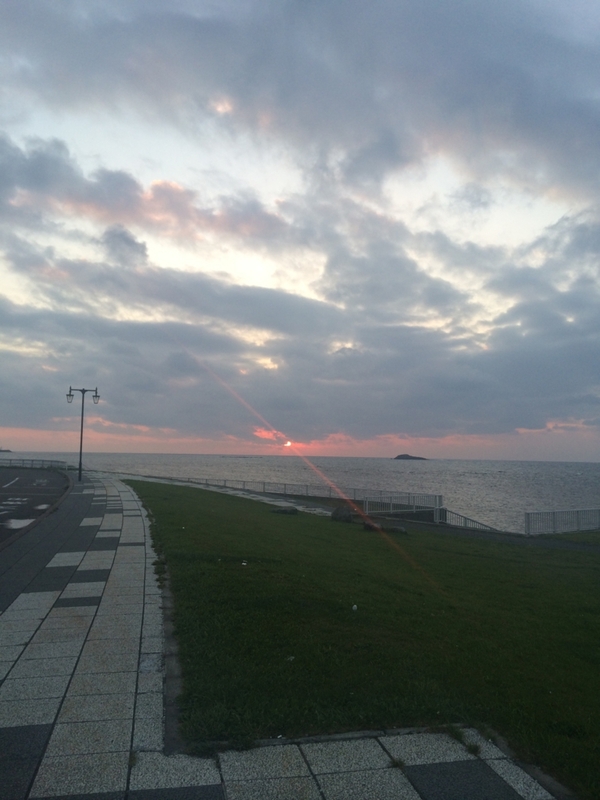 We went to Soya cape which the northernmost tip of Japan. It was really far from Sapporo city. Nevertheless we could enjoy long driving thanks to a lot of unique landscape on Ororon line! Actually we spent almost time at car. Do you think we wasted of time?? No, we didn`t!! 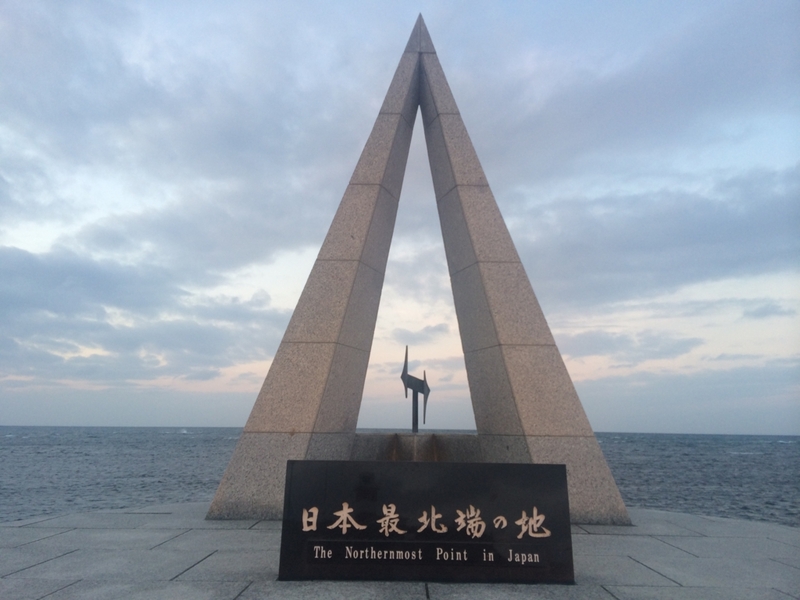 To go to Northernmost tip of Japan was Roman!